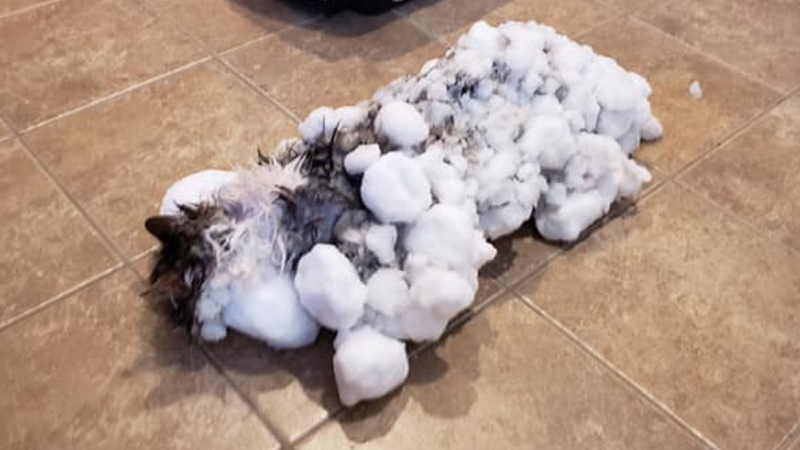 Fluffy's owners weren't home when she got stuck in the snow, so they still aren't sure exactly how it happened. Fluffy's temperature was so low it didn't even register on the thermometer but vets were determined to keep her alive. Her temperature was very low but after many hours she recovered and is now completely normal. "Fluffy is fantastic!" the clinic said. The polar vortex was raging in the Upper Midwest last week, and temperatures had dropped below zero on the morning of January 31 in the city of Kalispell, Mont., near Glacier National Park. He suspects something traumatic happened that caused her to curl up outside instead of returning to her normal hiding spots. Clark said Fluffy is 3 years old and has always lived outdoors.